One day I decided to quit...I quit my job, my relationship, my spirituality... I wanted to quit my life. I went to the woods to have one last talk with God. "Look around", He said. "Do you see the fern and the bamboo?" "Yes", I replied. Its brilliant green covered the floor. Yet nothing came from the bamboo seed. "In the third year, there was still nothing from the bamboo seed. But I would not quit. In the fourth year, again, there was nothing from the bamboo seed. "I would not quit." He said. "Then in the fifth year a tiny sprout emerged from the earth. Compared to the fern it was seemingly small and insignificant... But just 6 months later the bamboo rose to over 100 feet tall. It had spent the five years growing roots. Those roots made it strong and gave it what it needed to survive. I would not give any of my creations a challenge it could not handle. "He said to me." Did you know, my child, that all this time you have been struggling, you have actually been growing roots." "I would not quit on the bamboo. I will never quit on you. "Don't compare yourself to others .." He said. "The bamboo had a different purpose than the fern... Yet, they both make the forest beautiful." Your time will come, "God said to me." You will rise high! "How high should I rise?" I asked. 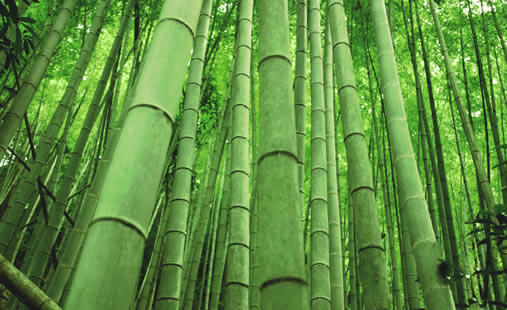 How high will the bamboo rise? "He asked in return." As high as it can? "I questioned." Yes. "He said," Give me glory by rising as high as you can. A happy and meaningful life requires our continuous input and creativity. It does not happen by chance. It happens because of our choices and actions. And each day we are given new opportunities to choose and act and, in doing so, we create our own unique journey. Failures keep you humble, Success keeps You Glowing, but Only God keeps You Going!